The controversial issue of euthanasia is not only present in Thailand. A lot of countries faces the same issue and considers it as one of its kind. It crosses not only politics but ethics and morality as well. Norms against self determination and laws against practicality. Euthanasia is derived from a Greek word which means “good death”. To some, it means the idea of mercy killing. It has been commonly used in the field of medicine where a patient’s life is ended because of a serious illness or when the patient is nearly dying, hence anticipating death. In Thailand, euthanasia is not expressly allowed. Neither is it expressly prohibited. However, practicing euthanasia entails different legal consequences. The legal consequences however vary depending on the type of the method use by the parties involved. Euthanasia has been classified by some authors into four namely: active, passive, voluntary and involuntary. Active euthanasia occurs when there is an administration of lethal substance into the patient. There is passive euthanasia on the other hand when the patient’s death resulted from withdrawal of the necessary treatments. In both cases, consent form either the patient and in case he cannot give consent his relatives’ consent is necessary. A voluntary euthanasia takes place when the mercy killing is done with the consent of the patient or his relatives. Involuntary euthanasia occurs when the patient or his relatives disagree to the same. Under the National Health Act of Thailand, a person is given the right to make a living will to refuse the public health service which is provided to prolong his terminal stage of life or to refuse the services to severe his sufferings from the illness. In Thailand, the person who is ill may make an “advance directive” which is a written document stating the wishes of a patient regarding medical treatment which may involve decisions such as ending his life. Because of the incorporation of the provision above mentioned in the National Health Act of Thailand, it became known to the world that the country allows euthanasia in its jurisdiction. 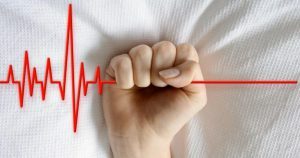 Nevertheless, the battle for the legality of euthanasia in the country is still on its peak and as a country which primary religion is Buddhism, euthanasia will always reap criticisms from different sides of the society. It is a fact that pro euthanasia lobbied for the importance of a law allowing the same while those against still remain to defend the teaching of Buddhism—abstention from destruction of life.